Black Prophecy is a free sci-fi action game that offers breathtaking visuals and a setting that will leave players amazed. 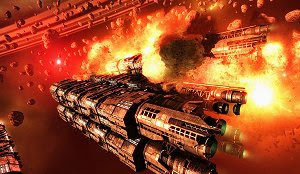 This is a game for fans of titles such as Battlestar Galactica Online, except that it is more focused on space combat, reducing travel times and role-play elements to a minimum. There’s a story created by Michael Marrak, an award-winning Sci-Fi author. Ships can be customized at the player liking, since there are many parts to be purchased, such as wings, cockpits and many more. Players can form clans and fight for resource stations, earning many achievements and medals along the way.